. إن الخدمات الممتازة وحسن الضيافة العالي في Northpoint Apartments تجعل إقامتك تجربة لا تنسى. لضمان راحة ضيوفه، يقدم الفندق الخدمات التالية: مرافق مخصصة لذوي الاحتياجات الخاصة, صف السيارات, مرافق للشواء, خدمة غسيل الملابس, مصعد . بالإضافة لهذا,تتضمن كل غرف الضيوف مجموعة واسعة من وسائل الراحة . بعض الغرف توفر حتى تلفزيون بشاشة مسطحة, مسبح خاص, غرف لغير المدخنين, مكيف هواء, تدفئة لإرضاء أكثر الضيوف تطلباً. يقدم الفندق خدمات رائعة كمثل مركز للياقة البدنية, مسار جولف - ضمن 3 كم, حمام سباحة خارجي, تدليك, كرة الطاولة لمساعدتك على الاسترخاء بعد نهار طويل من النشاط والتجوال في المدينة. إن Northpoint Apartments هو خيارك لخدمة الفنادق الراقية في بورت ماسكواير. هذا العقار ليس لديه مكتب استقبال يعمل على مدار الساعة. فمكتب الاستقبال مفتوح من الساعة 8:30 صباحًا إلى الساعة 5:30 مساءً في أيام الأسبوع العادية، ومن الساعة 9:00 صباحًا إلى الساعة 2:00 بعد الظهر في أيام السبت، ومن الساعة 10:00 صباحًا إلى الساعة 1:00 ظهرًا في أيام الأحد والعطلات الرسمية. قد تختلف ساعات عمل مكتب الاستقبال أيام السبت والأحد والعطلات الرسمية من دون إشعار مُسبق. رسوم إضافية على البطاقة الإئتمانية بقيمة 200USD مطلوبة عند تسجيل الدخول كمبلغ تأمين للأجور أو الأضرار خلال الإقامة و سيتم إسترجاعها عند المغادرة. يجب دفع مبلغ تأميني ببطاقة الائتمان بقيمة 500 دولار أمريكي عند تسجيل الوصول لتغطية أي رسوم أو مصروفات عرضية خلال فترة الإقامة في ليالي الجمعة/السبت وعطلات نهاية الأسبوع الطويلة وبعض المناسبات وسيتم ردها عند المغادرة. يرجى الاتصال بالعقار للحصول على مزيدٍ من التفاصيل. Was a great couple days with friends. Great location. Lots of room. Friendly staff. Would highly recommend. Thank You for The review and feedback Christie. We are pleased you had an enjoyable stay and we hope to welcome you back to Northpoint for your next stay. Good location. Apartments are really good with everything you need. There were 16 family members and apartments large enough to get together or meet in the recreation room. Thank you for your review and feedback Sylvia. We are please we were able to accommodate bringing your family together. Our apartments are larger than most so you can entertain without being crammed. We hope to welcome you back for your next family gathering. After hour check in is horrible. We kept on call the staffs for more than 1 hour but no one answer. Finally Agoda service person managed to help us to get the code. we wouldn't stay here again. Thank you for your review and feedback Wanlan. The after hours process is simple & easy. As instructed at the time of your booking that we are not a 24 hour reception and we would be in contact with your on your arrival day. We had tried to reach you on the phone number you provided several times on your arrival day and also sent you a text message with the code to the safe with instructions prior to closing. If you had checked your phone then the after hours process would have been a better experience for you. Good luck with your future accommodations. 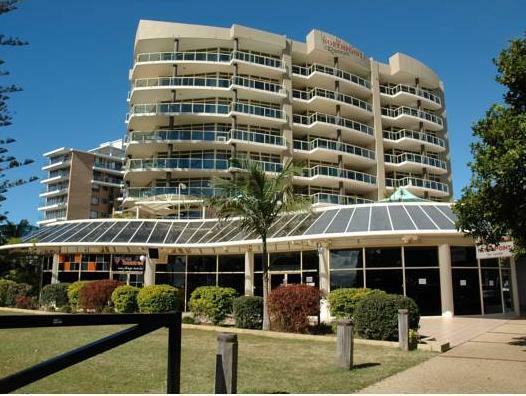 Heart of town, great walk along the rock/break wall to beach, huge 2 bedroom apartment, underground parking, all clubs have a courtesy bus and will pickup from your door. Staff could be more friendly and approachable, their not good at replying to emails and completing your requests. But aside from that, extremely happy with this accommodation. Pros: close to the water and the city. Cons: Difficult to park in the street if needed. Thank you for your review Gary. We are located in a great position close to beaches, cafes, pubs, shops and restaurants. Our parking garage has a 2m height clearance which is standard and every apartment has at least 1 allocated parking space. We hope to see you back at Northpoint again in the near future. A very pleasant stay . We have been stopping at Port Macquarie for many years and have stayed at numerous different 3/4 star plus accommodation facilities. This is first time we have stayed at Northpoint, but will definitely stay again. This should confirm where we consider this accommodation sits with the competition. Great location and good value for money. Clean, modern, comfortable rooms. Easy late check in. Fantastic location and views. Highly recommended for both couples, small groups and families! Will definitely be returning - for longer this time!! no A/C in 2 bedroom apartment during summer. Only A/C in living room. furnishing is old. you can hear the noise from the street down below. parking is very tight. no contact prior to arrival and been waiting at the door for like 5 mins untill reception saw us. Hotel was blaming Agoda not given no information to them. Very easy checkin and checkout. Common areas are spacious. Gym facility was excellent for a hotel of this type. I found the bed very comfortable. Our balcony doors did not lock but no other rooms opened onto it so we didn't worry. The decor and general appearance was a little outdated but was still very comfortable especially for the price. Has secure undercover parking included. Short walk to the water and to pubs and shops. 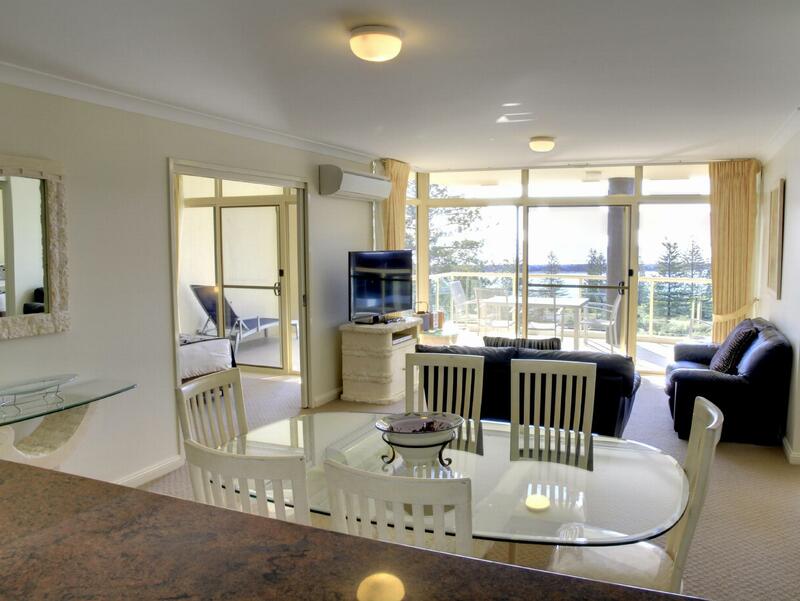 Large rooms, great walk in robe. Large balcony. Overall great stay. Would stay again. Only negative was that we didn't have a water view room!